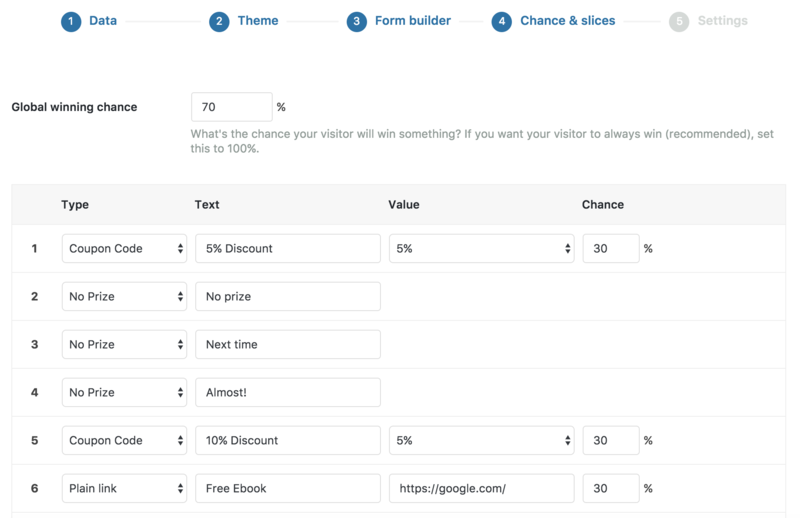 This is a beautifully designed plugin that allows you to capture leads on your website in exchange for a prize. This drastically increases the number of leads you’ll collect compared to the standard “name, email” type forms. 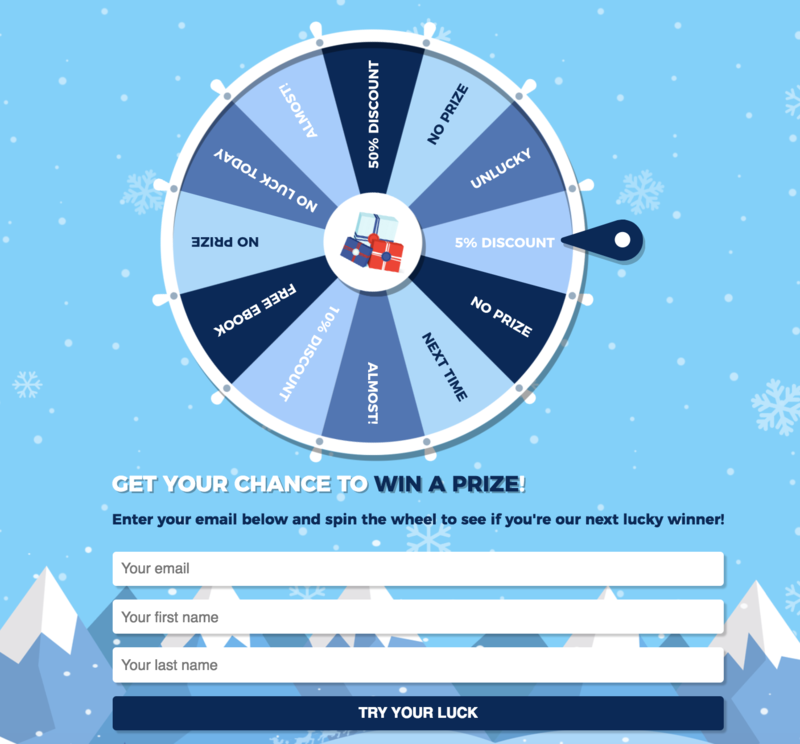 The chance of winning a discount, or a free prize (such as a free e-book) makes more people opt in and give you their details. 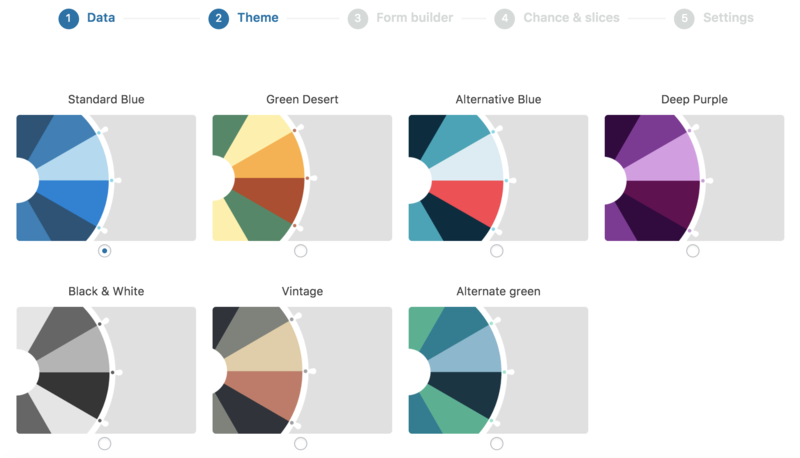 You can use the Optin Wheel anywhere that suits you and there’s plenty of themes included. 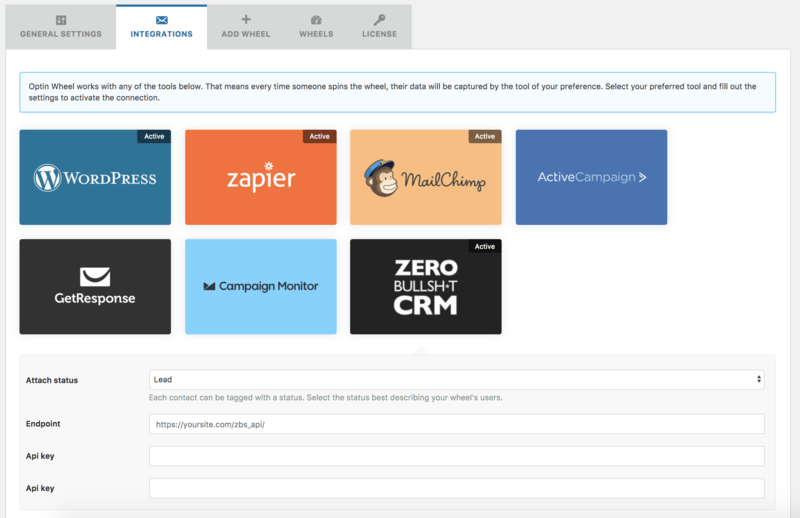 What’s even better is now the plugin supports Zero BS CRM and your leads can be added directly to your CRM. This is the kicker, when using WP Optin Wheel, the connector sends those leads directly into your CRM. Once your lead is in the CRM you can use all the power of the CRM to make sure that you manage the relationship properly. Adding the contacts to Zero BS CRM from WP Optin Wheel is remarkably simple. Notice the difference in the screenshot below, if Zero BS CRM isn’t installed on your site (but the connector extension is) then WP Optin Wheel Pro asks for your ZBS CRM API credentials so that leads can be sent directly to your CRM. Winner. Once you’ve chosen Zero BS CRM as your integration – you then proceed to configure your Optin Wheel. First up, you confirm you want Zero BS CRM to handle the leads ? ? Capturing the least amount of data on first contact, then getting additional data later through the CRM is the sure fire way to maximise your WP Optin conversion rate. Ask for too much info up front and you’ll get fewer sign ups. 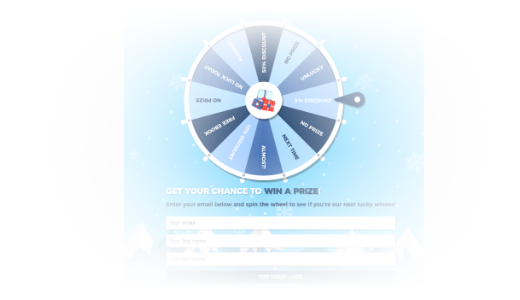 Once you’ve setup your form you configure the wheel “slices” for what you want people to stand a chance of winning. Email Settings – send the contact an email if they’re a winner. We hope you love this plugin as much as we do, and now it’s fully compatible with Zero BS CRM we 100% recommend you give it a spin when generating your leads. 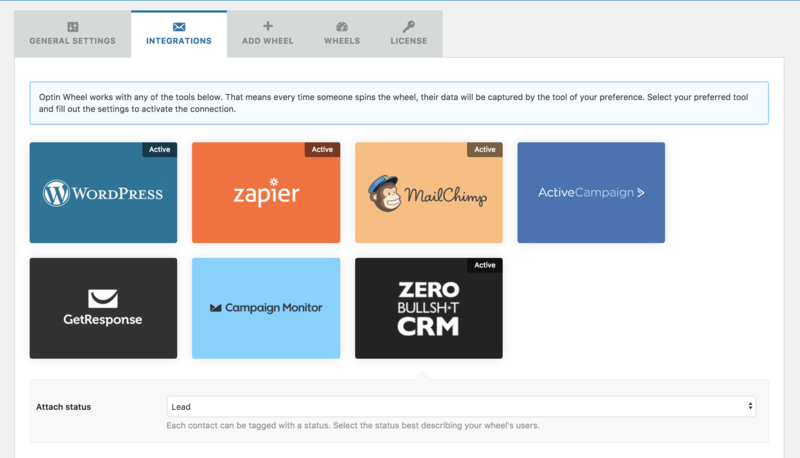 WP Optin Wheel Pro is a great plugin to capture more leads and with the Zero BS CRM Optin Wheel Connector you make sure these leads go directly into your CRM. Have fun using the wheel and then use Zero BS CRM to manage the relationships with your newly captured leads. It’s a perfect combination and something everyone should start using.